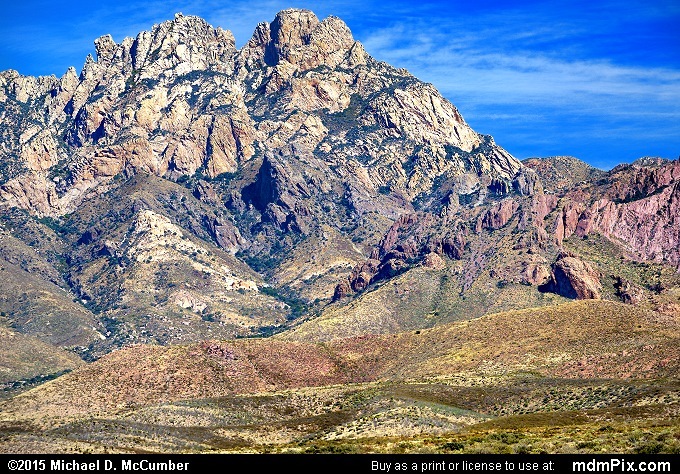 The southern most tertiary granite peak of the Organ Mountains is the 9,012 foot high Organ Needle that is part of the range that dominates the eastern sky of Las Cruces, New Mexico as a wall of vertical cliff faces that help makes the city extremely scenic. 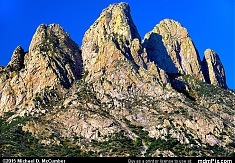 Curiously, the next highest peak is Organ Peak to the south that is an exposed purplish igneous rock. My first Mountain Lion encounter in the wild was on a trail east of this peak. 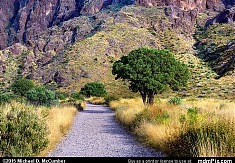 Picture was taken from a slope leading up to mountains from the Mesilla Valley in late afternoon.